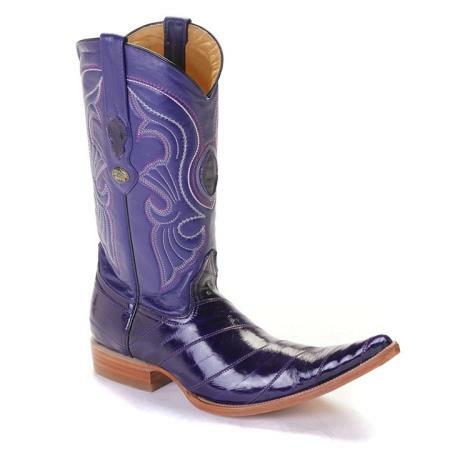 Mensusa https://www.mensusa.com/articles/grab-mexican-boots-for-sale-with-no-compromise-in-quality.html Grab Mexican Boots For Sale, With No Compromise In Quality Explore today's different Mexican boots for sale and a variety of Mexican pointy boots for sale while enjoying a lower price and authentic quality. It feels great walking in these beautiful boots. Since their invention in the early 19th century, Mexican cowboys boots have evolved from flat heels to high heels. The boots were originally designed specifically for the cowboy profession; initially, Cowboys used low heeled and short boots but after time went by they switched to high heeled boots. Most mexican boots on sale today are leather products made of animal hides from various animals like bulls, ostrich, armadillo, and lizard. These boots are of different shapes made in various models; they include flat and high heeled, authentic vintage and fancy. They also include different makes of varying sizes and widths. Each boot has a unique finish and a distinct color combination. Menswear stores mainly focus on the men's Mexican boots collection better summarized by the name mexican boots for sale! Notably, mexican boots on sale have gained a reputation as a significant trend and people from all walks life now wear them. The modern man will love the Mexican cowboy boot because of its unique style and design. They bear different price tags subject to their models and sizes. The animal skin type and quality also count a lot in specifying their prices. In our designated mensusa.com stores , we retail Mexican boots at the same price range as other American Made boots which means a discounted price for buyers. There is surely a pair made to please you, all you need is to browse through the various collections and take advantage of the Mexican boots on sale opportunity! What makes boots then most preferred footwear is its versatility and fitness to suit any occasion. Since its invention, shoe designers have consistently worked towards producing a vast variety of boots of different styles and advantages. At mensusa.com, we encourage people of all standards to get Mexican pointy boots on sale today as they're proper shoes made to provide a total protection and a stylish look. These boots were vastly used by the best ropers and ranchers among cowboys. For that reason, these boots go with the name cowboy boots. Through extraordinary artistry by various designers, the new boots are made from gradual variation in heels heights, cuts and styles and cuffs. These boots represent an ancient cowboy lifestyle passed from ages to ages. We offer today's men with mexican pointy boots for sale they've always been looking for. The modern man has acknowledged the fact that wearing a Mexican boot does not in any way make you a cowboy or demand that you be one. 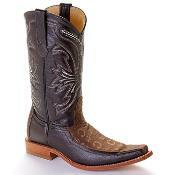 Among the many colors in Mexican boot, the Grey cowboy boot remains the best option for men. That is the case because the gray color makes it dirt resistant and a neutral colored boot that can complement with many other colors. Additionally, these boots can be worn on different occasions particularly those involving Hardy jobs in farms ranches, or rural areas and formal occasions like formal suits and weddings as well. Visit mensusa.com today and grab these Mexican boots on sale. Grey cowboy boots mainly fall in two models; these are low and high cut. These boots vary in shapes depending on the toe capsizes and the material used in making pointed toes. Grey cowboy boots with pointed toe and high heels are specially designed for horse riding, as ranchers spend most of their time in saddles. Such boots could be both made of hand stitched and hand crafted details. Some Mexican boots are products of shaft embroidery while others made as a result of shaft stitching. Grey cowboy boots may be customized to symbolize musical themes, or decorated with a bright colored horse heads pictures on the front part. Most importantly, it should be noted that Mexican boots have no laces rather their trims are made lace like. You can be sure that you will get any grey cowboy boat design at our acclaimed stores. Every man deserves a decent lifestyle, living a modest lifestyle demands that you explore the various dress codes and shoes and finding yourself a decent shoe in each of the available makes and trends. Therefore, every man deserves a taste of the Mexican boots to understand the decency and comfort they embrace. If you are looking for a perfect Mexican boot to add to your shoe rack, then you should consider these boots to brand you while taking your manhood to the next level.